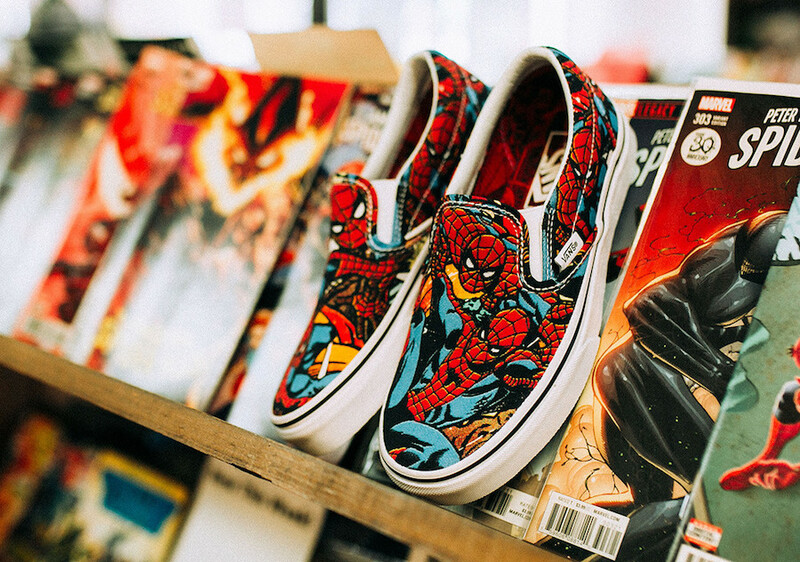 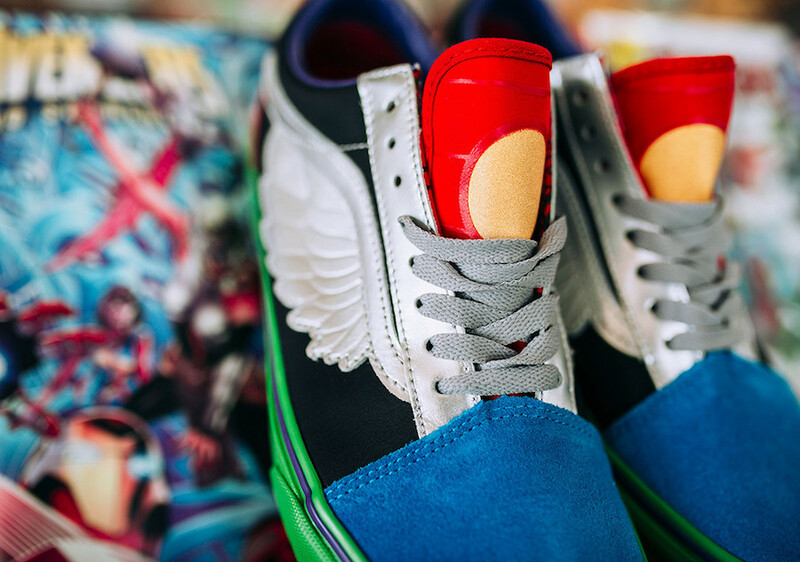 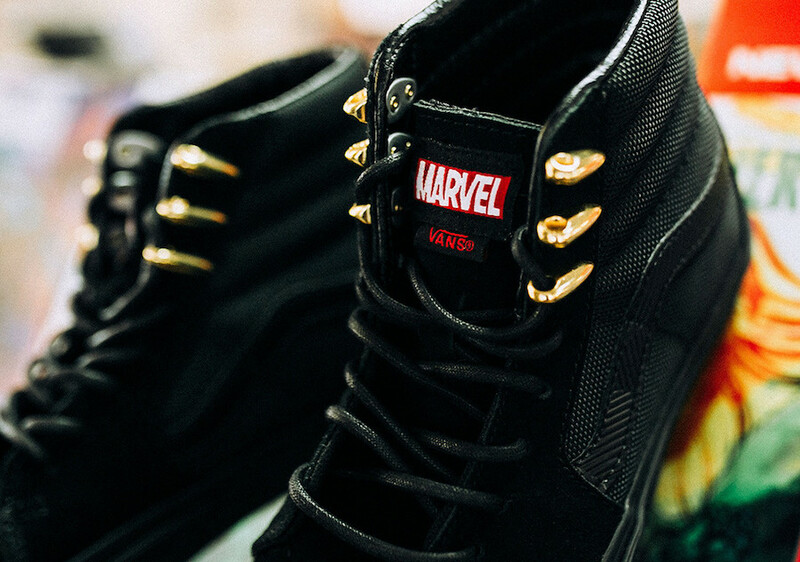 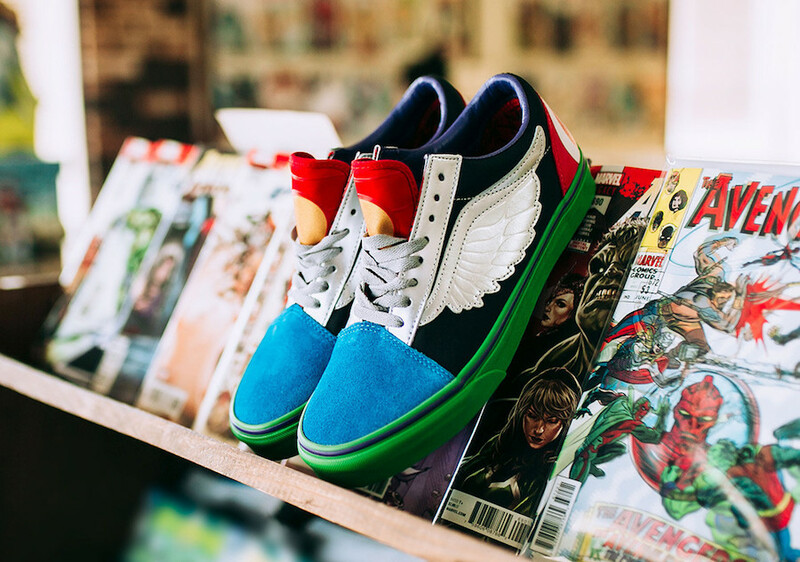 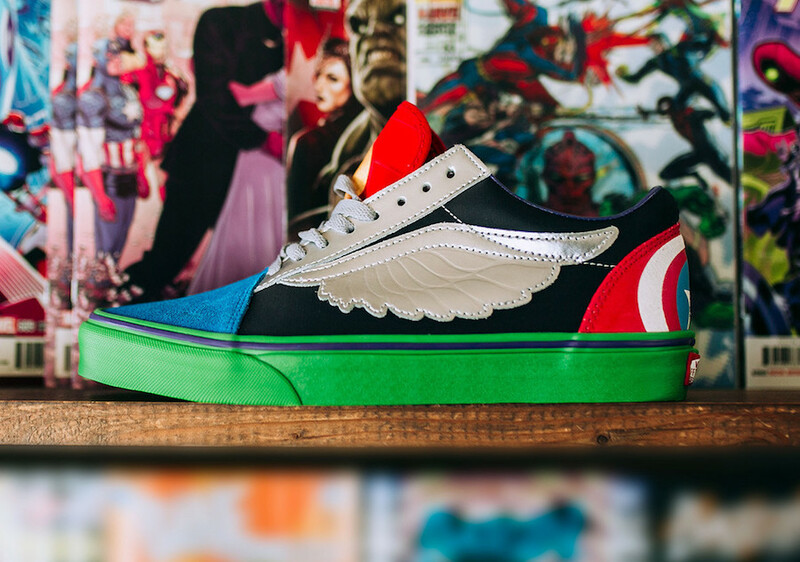 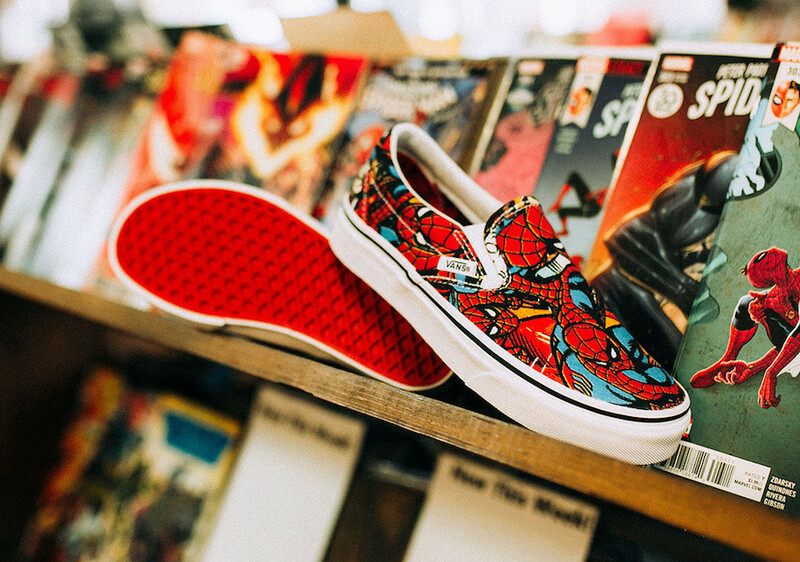 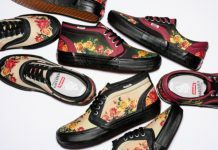 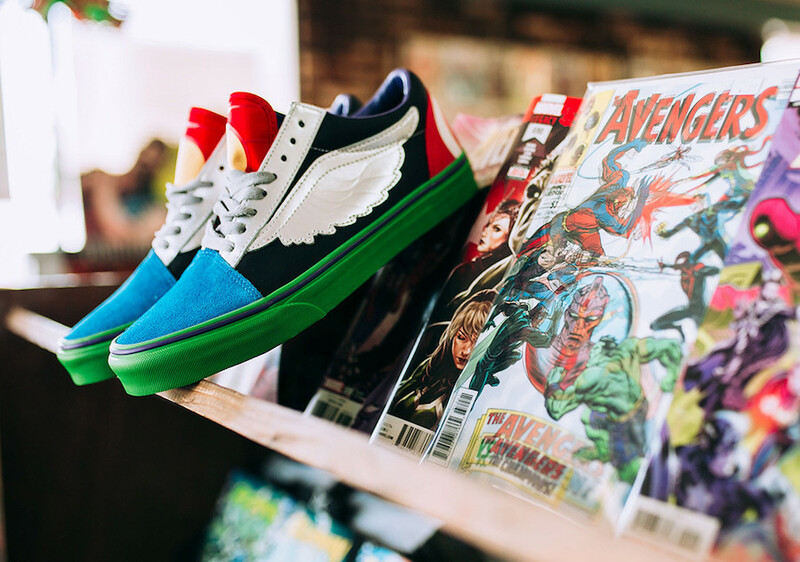 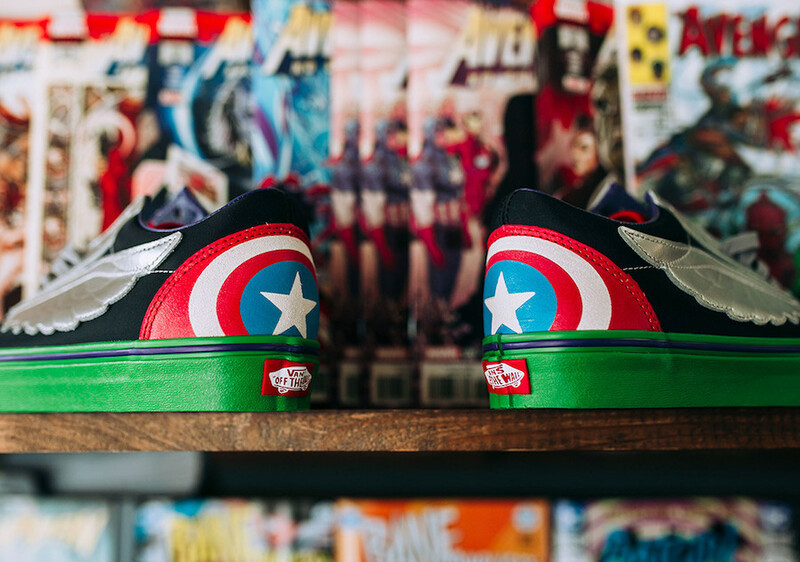 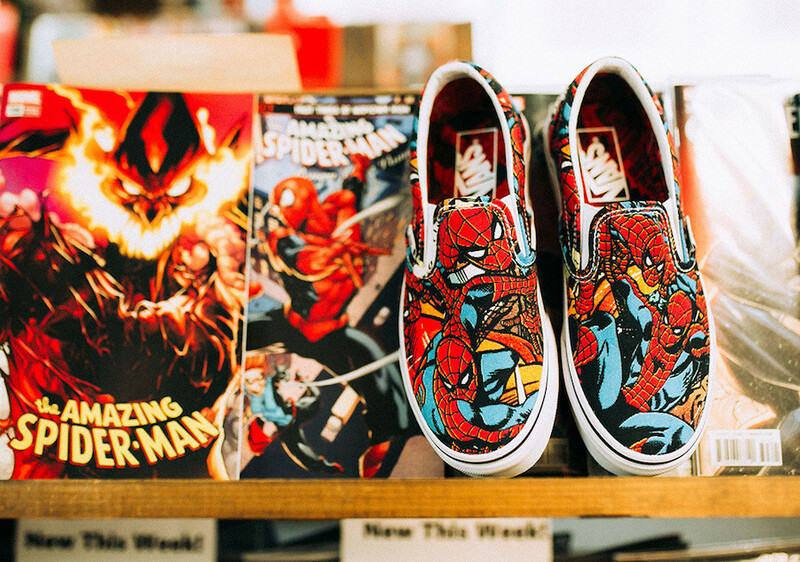 Vans teams up with Marvel to release an “Avengers” Pack that includes the Vans Sk8-Hi, Slip-On, and Old Skool silhouettes in celebration of Avengers: Infinity War. 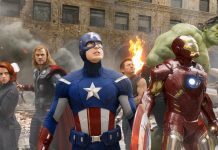 The Old Skool consists of accents from Iron man, Hulk, Thor and Captain America in a “What The” theme. 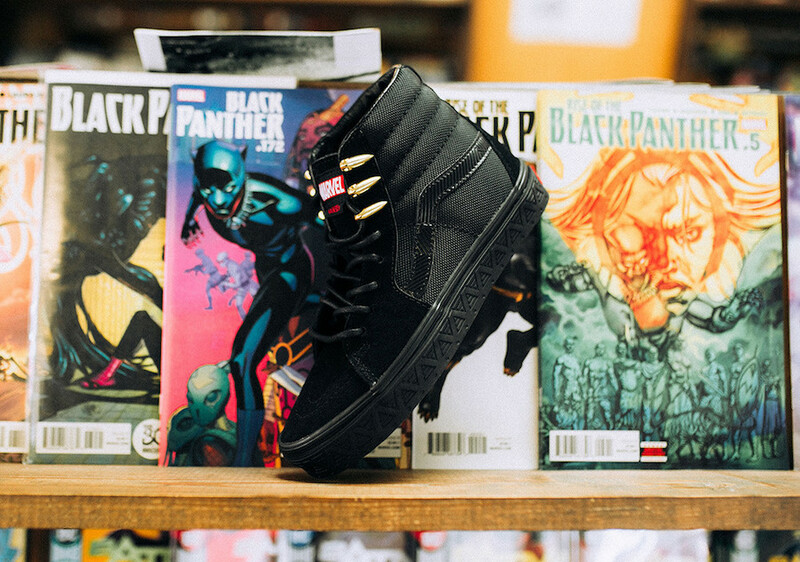 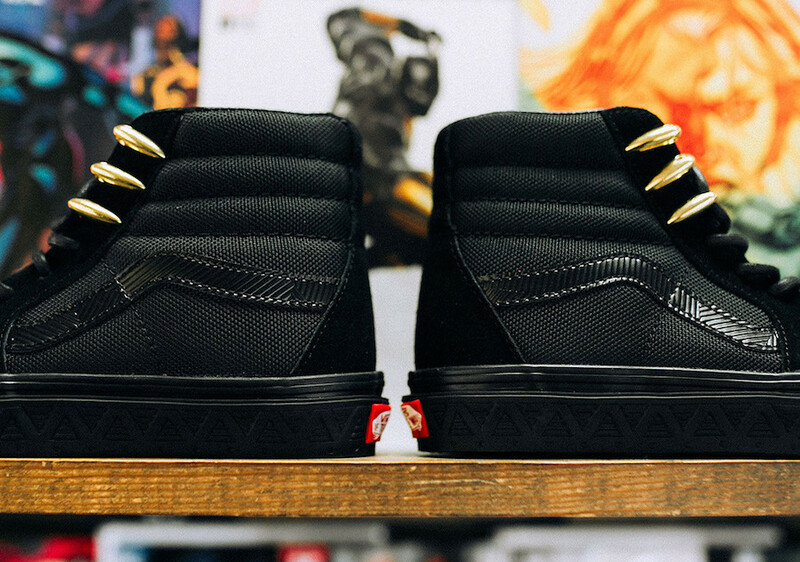 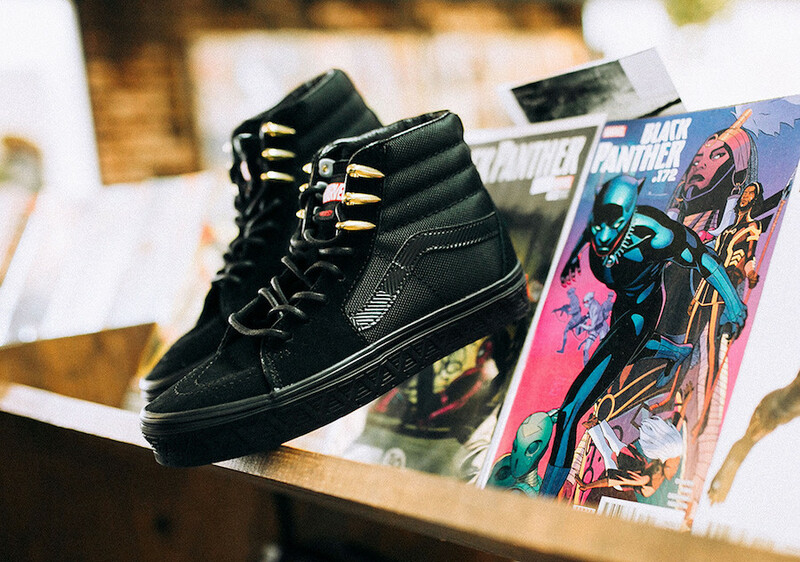 The Vans Sk8-Hi comes in a full Black Panther theme (minus the vibranium) and the the Slip-On comes with a spider man collage.